The Macy’s Thanksgiving Day Parade kicks off the holiday season in New York City. More than 2.5 million people line the streets every year to see the parade. 2011 marks the 85th Anniversary of the famous Thanksgiving tradition. The highlight of the parade are huge helium balloons in the shape of popular characters like Spiderman, Snoopy, Spongebob Squarepants etc. It is quite a sight to see these humongous balloons make their way down New York City streets. The parade also includes floats, live music, marching bands and other performances. Many celebrities tend to be part of the parade every year as well. The parade concludes with the arrival of Santa Claus to ring in the Christmas and holiday season. The starting point of the parade is at 77th Street and Central Park West. The parade moves downtown along Central Park West to 59th St – Columbus Circle, then turns onto Central Park South and heads south on 7th Avenue. At Times Square – 42nd Street, the parade turns left and goes east, then at 6th Avenue turns right again at Bryant Park. Heading south on 6th Avenue, the parade turns right at 34th Street (Herald Square) and proceeds west to the terminating point at 7th Avenue where the floats are taken down. To get an up-close look at the giant balloons, head to the Upper West Side for Inflation Night. Macy’s balloon inflation takes place the day before the parade on 77th and 81st Streets between Central Park West and Columbus Avenue. Public viewing takes place from 3pm to 10pm. 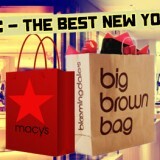 Macy’s recommends the best viewing location to be the area between 61st and 72nd Streets on Central Park West. 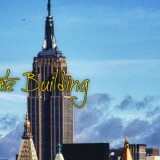 Areas near Times Square – 42nd St and Columbus Circle – 59th St also provide good views. There is no public access on Sixth Avenue from 34th to 38th streets and on 34th between Broadway and Seventh Avenue. There is a limited viewing area on the south side of that stretch of 34th. So it’s a bad idea to try to view the parade near Macy’s on Herald Square. – Dress in layers. November weather is chilly and can get outright frigid. – There are no public restrooms along the parade route. So be sure to use the restroom before you settle in, because if you have to leave, you will lose your spot. In the 1920s many of Macy’s department store employees were second-generation immigrants. Proud of their new American heritage, they wanted to celebrate the United States holiday of Thanksgiving with the type of festival their parents had loved in Europe. In 1924, the annual Thanksgiving parade started by Louis Bamberger in Newark, New Jersey at the Bamberger’s store was transferred to New York by Macy’s. In New York, the employees marched to Macy’s flagship store on 34th Street dressed in vibrant costumes. There were floats, professional bands and live animals borrowed from the Central Park Zoo. At the end of that first parade, as has been the case with every parade since, Santa Claus was welcomed into Herald Square. At this first parade, however, the Jolly Old Elf was enthroned on the Macy’s balcony at the 34th Street store entrance, where he was then “crowned” “King of the Kiddies.” With an audience of over a quarter of a million people, the parade was such a success that Macy’s declared it would become an annual event. Large animal-shaped balloons replaced the live animals in 1927 when the Felix the Cat balloon debuted. Felix was filled with air, but by the next year, helium was used to fill the expanding cast of balloons. Through the 1930s, the Parade grew and grew until crowds of over 1 million lined the parade route in 1933. The first Mickey Mouse balloon entered the parade in 1934. The parade ceremonies were broadcast on local New York radio. At the conclusion of some of the early parades, the balloons were released and floated away, often taking several days to come down. A reward of a $100 Macy’s gift certificate was offered for anyone who found and returned any of the lost balloons. The 2006 parade (the 80th), included two new big balloons: Flying Ace Snoopy and Pikachu (remodeled with a Poke ball), along with new falloons and ballonicles: the Energizer Bunny and a Macy’s balloon styled for the 80th anniversary of the parade. From 77th St and Central Park West to 34th St and 7th Ave.